Beautiful Incentives: #Win a pair of #Jaybird state of the art sport headphones! 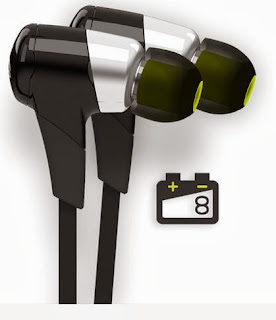 #Win a pair of #Jaybird state of the art sport headphones! Are you looking for a new, comfortable, yet fashionable pair of headphones? Jay bird has the pair for you. These are so sleek and stylish, I wish I had a pair of my own! I had the awesome opportunity to work with Jaybird and showcase their state of the art sport headphones. These are made specifically for the sports enthusiast who needs those very durable long lasting and comfortable headphones while working out or doing other various activities. The brand you can trust to not break on you when dropped or doing strenuous exercise. they built in sweat repellent to prevent damaging or eroding anything inside, such as the speakers. The quality is never lost and they are built to last and last! The headphones come in various styles and sophisticated colors. Nothing over the top nor bland. My favorite style would have to be the the blue buds. They are so sleek and just right for me being all black. The thing thing I love most about them though is that they are wireless! Along with that they hold a whopping 8 hour battery life, they have Luiqipel sweat repellent technology, soft cushy inserts AND a really awesome feature is their x-fit line have the ability to bend backward so that you don't have a pesky wire irritating your neck. Basically it is like not wearing headphones at all! All headphone come equipped with these features and an excellent sound system with an excellent signal for skip-free entertainment. All of their headphones meet every need for every sport enthusiast. If you have any doubts, these have been tested again and again through all types of environments and you can witness videos on the matter by looking at their website. There is endless information on why you should invest in these headphone. Why buy countless headphones for cheap when you can buy an excellent state of the art pair that will last you a very long time if not forever! There is nothing that I can say that isn't entirely awesome about these things. I wish I could have gotten a review, BUT I am ecstatic to be able to advertise their giveaway to you, which I will be entering too, of course! One lucky winner will win a pair of these beauties EVERY day so your chances are better than most! A form will pop up on this blog page in the lower right hand corner of the screen. Just click to connect to Facebook and Voila! It will automatically enter you with your facebook information! 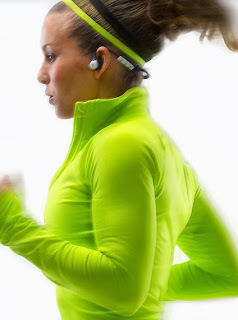 If this form does not pop up within a minute, here is where you can go to enter: http://www.jaybirdsport.com/bluebuds-x-bluetooth-headphones/more-features/ Just go to the upper right hand corner of that page where is says "Daily Giveaway" and click to provide your information. Very simple entry! If you don't want to wait and see if you got picked and you are ready to never have to buy headphones again for a very long time, purchase your new sport headphones here! fabulous, I could use these for my son! !